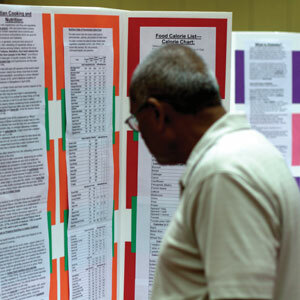 The thought of periodic health check-ups is daunting for many. Recognizing the need to promote early detection and prevention, and making access easy, BAPS Charities organized the 15th annual community health fair in Lilburn, Georgia on Saturday, June 23, 2012. Over 110 volunteer healthcare professionals participated, including specialists in various fields, and personal consultations were provided to over 800 visitors. Indian Cooking and Nutrition exhibit. Many people in the United States do not seek healthcare for fear of not being able to afford it. 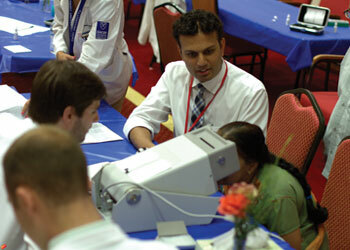 BAPS Charities aims to create a new culture of preventative health care among South Asians and the greater community through interactive health fairs and educational seminars, which supplement government healthcare programs by raising awareness and providing information about alternative healthcare options.